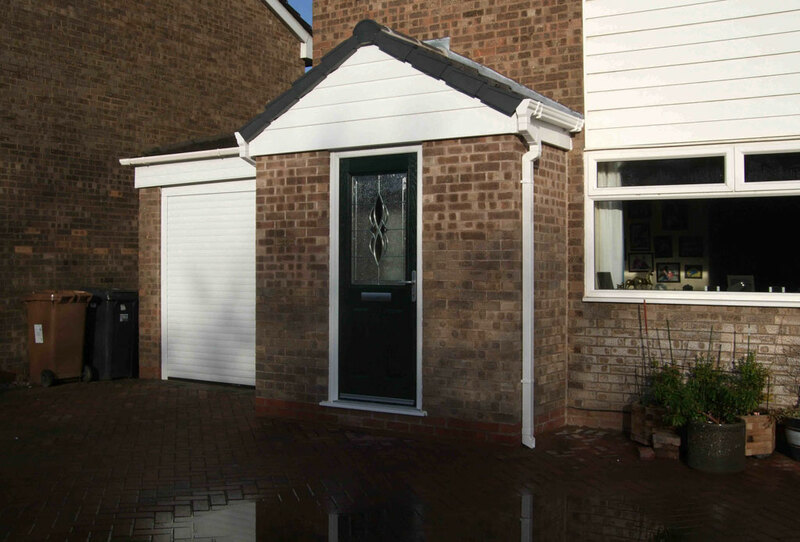 A Croston Porch will not only create a stylish entrance to you home, adding dimension and character to your house, it will also increase your energy efficiency and provide an extra layer of security. Entirely bespoke, we can create a design that sits perfectly with your home. Whether we build a brick or stone wall, or glass to floor, a tiled solid roof, or a high performance glass roof, the choices are endless. As well as the classic White, Rosewood and Golden Oak UPVC frames, you can choose from a wide range of frame colours for your new porch, from the architectural Anthracite Grey, the natural finish of Irish Oak, or the soft heritage look of Chartwell Green. 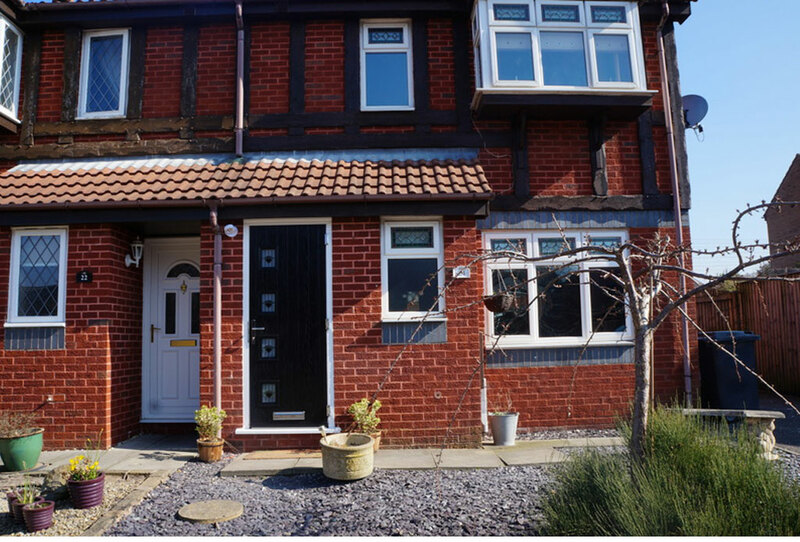 Our experience within the industry and wealth of skilled tradesmen allow us to tailor your porch design to meet your exact requirements and our highly-trained consultants will help you to select the perfect porch to compliment your home. 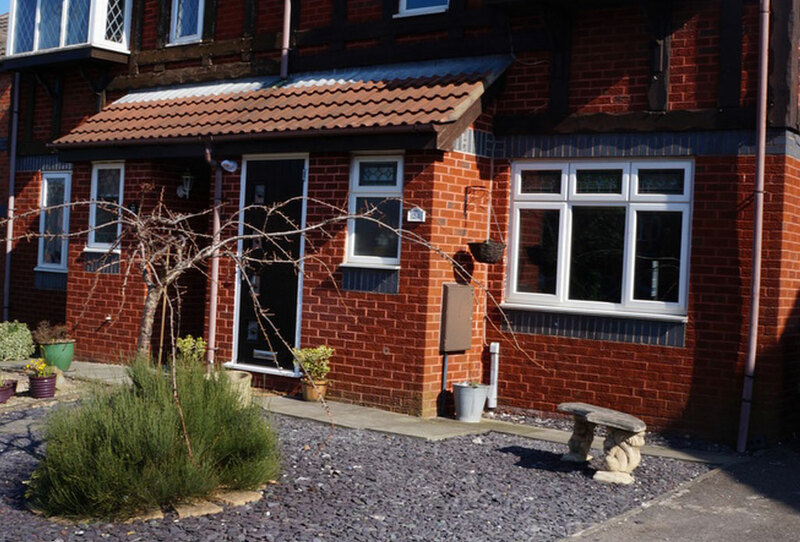 If your porch is under 3m² in floor area and not within 2 metres of any boundary that fronts a highway, you won’t need planning permission. If it is larger than 3m², then you may need approval from your local planning department. If this is the case, we can happily organise a planning application you. Contemporary glass to floor option. 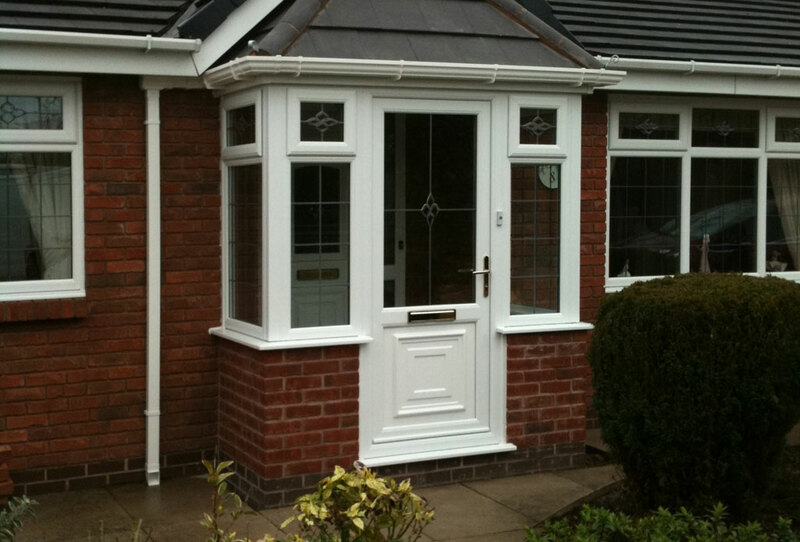 Glass or solid roof options. Wide range of colour options. 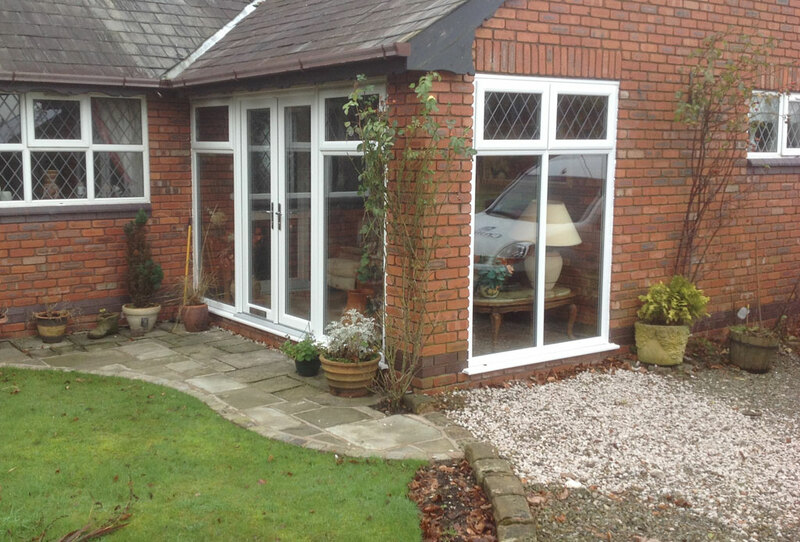 "New conservatory now complete. All the staff we had contact with were highly professional and competent. All the different tradesmen were all hardworking, polite and professional. 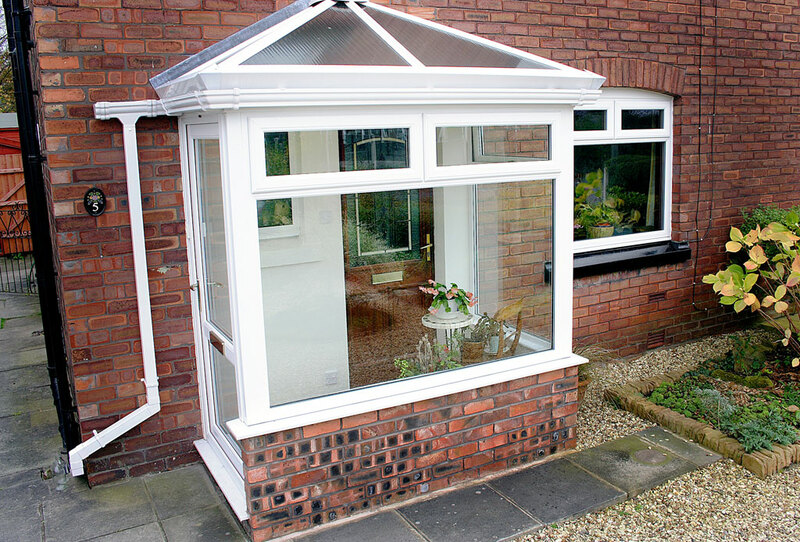 We were especially impressed by the willingness of staff to get things right according to our individual requirements for the conservatory. 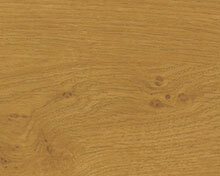 We are delighted with the quality of the workmanship and the finished product."